Want to compost in your back yard? We've got tips, guides and plans, as well as selling Soil Savers and Green Cones at cost. Click here for more information on home composting, or call us with your composting questions: 229-9383. More and more food scrap drop off options are available around the state. Starting July 1, 2017, all transfer stations in Vermont collect food scraps for a fee. If you don't have the space or the interest in home composting, consider dropping off your food scraps. 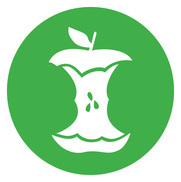 Click here for a list of food scrap drop off options in the CVSWMD. There are several ways to dispose of dead animals. Bury or compost the animal on your property. For details, contact the State of Vermont Solid Waste Management Program at (802) 241-3888. Take the animal to a rendering company (only for large animals) or a veterinarian. Contact your local game warden (for road-killed animals). Double bag the animal and bring it to a SWAC Transfer Station or to a privately-operated transfer station. NOTE: Farmers needing to dispose of large quantities of dead animals should contact the Vermont Agency of Natural Resources: (802) 241-3465. The State of Vermont has outlined a number of ways to dispose of dead animals in this guideline. Please review the three-page procedure before burying or disposing of animal carcasses.